Recently I had the pleasure of attending the Product Management Festival (PMF) 2018 in Zürich along with about 1000 other people (approximately 30 from SAP – woohoo). The PMF had 4 keynote speakers and 13 session times with 6 different tracks. For those like me not good in math, that is 78 different sessions to choose from. The only bad part was that you could only go to one track per session (I have not figured out how to clone myself, YET). One of my favorite things (other than the food) was getting to know other product managers. It is amazing that even with different sized companies, different products, cloud vs on-premise…, we shared so many common problems. It was cool to see the different ways the different people approached the problems and solved them. So yes, we had great food, lots of fun, and excellent opportunities for socializing; but we also did learn a few things. Look to the future of user interfaces. This was from a topic “Next Generation Prototyping” by Gregor Urech, but what I got out of it was that we need to start thinking now about the future ways people interact with our products. My assumptions have been a user will look at a screen and use a mouse. It will not be long until a user looks at a screen to see the results of natural language conversation with the computer. Will my product be ready when people start using hand gestures? What about augmented or virtual reality? How will that impact my product? Your product is your best marketing tool. In the session by John Koenig, he talked about building viral loops into your product. It was cool how he showed the impact of different techniques to increase your business. It is important to think about how your product can encourage users to recommend other users. For example, Dropbox gives 500 MB to you for every friend you get to sign up. Another idea was to unlock extra content with recommendations. How can your product be used to increase usage? This was awesome. Michael Perry talked about this in his keynote address “Becoming a Problem Solver”. He used himself as an example how he became successful when he stopped chasing after the perfect product and started focusing on how to perfectly solve problems. I love his quote “I have no interest in becoming a great product manager. I want to become a great problem solver”. 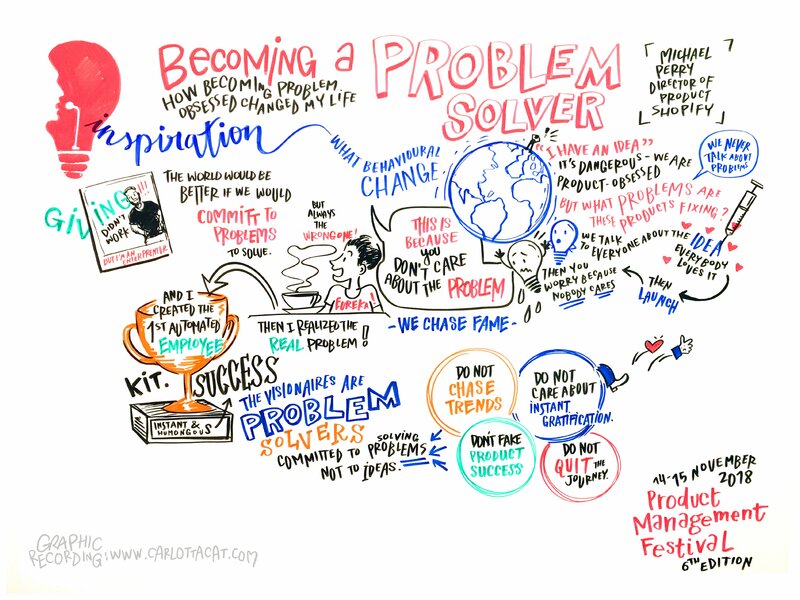 I think solving problems fits perfect into our culture at SAP to help the world run better and improve people’s lives. In conclusion, I would give PMF2018 two thumbs up. It had a spirit that is hard to capture on one short blog. It is a spirit of comradery. It is a spirit of wanting better for ourselves, our products, and each other. It is a spirit that comes from understanding the difficulties that we all share. It is a spirit of having an open mind to learn new things and grow. It is a spirit of helping and allowing ourselves to be helped. It is a spirit that is not restricted by being from different companies, let alone company silos. It is a spirit that unites us and makes us better as a community. PMF 2018 may be over, but please, keep the spirit alive. Randy Snow is a Senior Product Specialist, IEG PE ICD Consumer Industries at SAP and attended Product Management Festival 2018, Zurich. His impressions on the conference were originally published in the SAP internal PM community blog.